Liberal, Labor, the Murdoch media, their mates the banks and foreign mining companies should be banned from Australia. Withdraw your savings(if you have any) and place your money in credit unions. Never again vote for the ALP or LNP. Do not buy News Ltd newspapers. 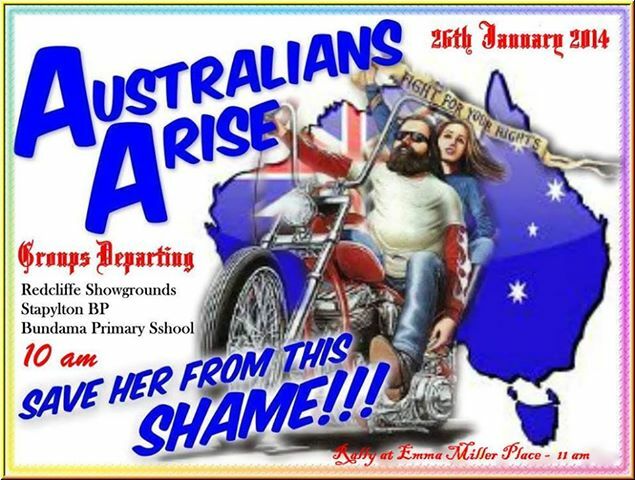 Australia I urge you to share this letter written by Dr David Pascoe, which has over a million hits so far. Public outcry is the only way to make the Federal Government act on the massive rural debt issue that is about to bring down the agricultural industry in Australia. We need to stop the foreclosures now! We need to introduce an Australian Reconstruction and Development Board to take over and re-finance farmers’ debt. Otherwise we face a grim future where we will have no Australian farmers left. Not so long ago, the ANZ bank came and drove him off his beloved station because the drought had devalued his land and they told him he was considered an unviable risk- Yet – “Charlie Phillott has never once missed a single mortgage payment”. So we must ask: “is this simply to move the people off their land and free up it up for mining by foreign mining companies or make suddenly newly empty farms available for purchase by Chinese buyers? As outrageous as it might seem, all the evidence flooding in seems to suggest that this is exactly what is going on”. What is the role of Government in all of this? Why have both the State and Federal Government stood back and allowed such a dreadful travesty to happen to our own people? Where was Campbell Newman on this issue? Where was Prime Minister Abbott? The answer – They are nowhere to be seen. There is barely a mention of any of this as well in the newspapers, with the exception of a brief splash of publicity that followed our visit. Malcolm Turnbull – Minister for Communications and the uber-cool trendy city-centric Liberal in the black leather jacket. Andrew Robb – Minster for Trade and Investment and the man behind the free trade deal, the man who suddenly acquired three trendy Sydney restaurants almost overnight, the man who seems to suddenly desperate to sell off our farms to China. Greg Hunt, Environment Minister and the man who is instantly approving almost every single mining project that is put in front of him. Nobody has asked, “We the People” – Not once. KAP Leader and Federal Member for Kennedy Bob Katter and State Member for Mount Isa, Rob Katter are outraged that the Queensland Government has today flagged leasing assets rather than selling Queenslanders’ assets. “The LNP government underestimates the people of Queensland. They will not fool the public into thinking that they still have control of the assets by leasing them; don’t insult our intelligence,” Bob Katter said. “Leasing the assets is just the same as selling them, electricity prices will continue to skyrocket and it will be Queenslanders that will pay the ultimate cost. It is obvious as the sun rising that they (the LNP) have made deals with corporations for the sale of these assets and receive generous donations from these corporations who are lining up to lease the assets. “This is the dirtiest government in Queensland’s history coupled with a total inability to make a decision on anything,” Bob Katter said. “In the ten years before corporatisation our electricity prices were stable at $700 per year, after the government totally deregulated the industry prices rose dramatically to $2359 in 2014. “With the leasing or sale of our electricity assets within 2-4 years we could see power bills rise upwards of $6000 a year. “Queenslanders paid for power generators, transmission and distribution networks and it is our right to retain ownership of these assets,” Bob Katter said. State Member for Mount Isa, Rob Katter urged the people of Queensland to oppose the sale and leasing of our assets; stating that ‘A vote for the LNP at the next State Election is a vote to sell off our assets’. “The idea of long-term leasing our assets, speaks volumes they have tried selling the sale of our assets hard. “The LNP State members and the Treasurer are pushing for the sale of the Rail Line and Townsville Port, so they can build a new sports stadium in Townsville. I don’t even know where to begin to describe the stupidity of this statement. “If you corporatise or privatise an essential service, then you give to that corporation the right to tax you at whatever level they feel like – forever. “The LNP State Government claims that there is too much debt and this stops them from building essential infrastructure. “This assertion would have credibility if they hadn’t already started building a $675m brand new office tower for the Premier, committed to a $5 billion traffic tunnel in Brisbane and an $800 million program transitioning grade 7 out of primary school into high school. “If the Government built CopperString (electricity to Mount Isa), a Railway line into the Galilee Basin and introduced ethanol in Qld they would have already created 50,000 jobs,” Robbie Katter said. The Member for Mount Isa, Rob Katter said he was incensed over the $80 million the Queensland Premier has spent in his marginal seat of Ashgrove, saying the money was earned in the resource centres of the State, such as Mount Isa. “Mount Isa and Cloncurry in 2012-13 generated $213m in royalties and similar figures over other years. To have $80m of that prioritised for Ashgrove schools over projects such as the Mount Isa water or the Cloncurry Dam is an insult. “This is perverse, taking money earned by the State’s producers and deliberately channelling it into the Premier’s own electorate,” Mr Katter said. Money spent in the Ashgrove electorate amounts to more than $2500 per voter, and includes a $5 million sports hall at The Gap State High School and $3 million on new classrooms for Ashgrove State School. “Yet the Government couldn’t stump up the cash to keep the Gregory Downs School open in this electorate, and gave us a paltry $500,000 in Royalties to the Regions for our water treatment. 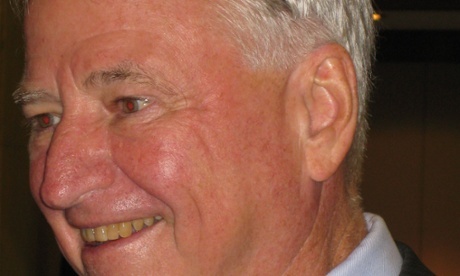 “That is no measure of a good government; that is simply trying to buy votes,” Mr Katter said. Mr Katter said he looked forward to mounting a vigorous campaign against both LNP and Labor in Mount Isa “to stop these major parties playing around with our hard-earned dollars”. 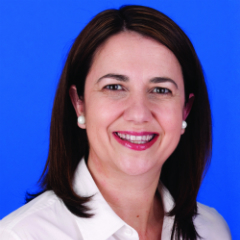 A Galaxy poll commissioned by News Ltd, published in the Cairns Post newspaper has the ALP State leader Annastacia Palaszczuk one point behind Campbell Newman as preferred Premier. Whilst we know Campbell is on the nose it is hard to believe he is this far behind! It has Palmers United party at 12 per cent and Katters Australian Party at zero. But don’t dismay this happened before Clive’s public outpouring of antipathy towards the Chinese Government. Polls, lying polls and dodgy data are the usual products of opinion polls, especially from those polling companies that are owned by Rupert Murdoch of News Ltd.
Their methodology is simple – just ask a loaded question and you get the required result. For example which leader is your preferred choice of Premier, Newman or Palaszczuk? There are no other options on offer so the interviewee has to pick one or the other, neither of whom he likes at all. If the pollster was to ask, “If you don’t like either on offer, who is your choice of Premier?” Then the polling result would be much different. This polling subterfuge is what happens when the ALP and the LNP allow Rupert Murdoch to control the vast majority of Australian media. Renowned corruption fighter says Liberal National party has embarked on ‘destructive’ first term, undermining the judiciary and interfering in the electoral system. Queensland’s ruling Liberal National Party is abusing its power through its huge, unchecked majority, the state’s best known corruption fighter says. Tony Fitzgerald, who headed the Fitzgerald inquiry into police corruption in the 1980s, has launched a scathing attack on the LNP government after several controversies. Fitzgerald said he was reluctant to comment on the ongoing “Queensland saga” but released a short statement saying he did not expect voters to tolerate “destructive populism of an irresponsible government for long” and wanted to regain his anonymity and privacy in retirement. “The LNP’s first term in office has confirmed the critical importance of adequate checks and balances,” he said in the statement. He also accused the government of pursuing self-interest, favouring its supporters and passing “irrational, counterproductive and sometimes invalid” criminal laws. Fitzgerald has already criticised the state’s controversial anti-bikie legislation. He said Queensland was extremely vulnerable to the misuse and abuse of power, given a lack of constitutional limits on the state’s single house of parliament. Without an effective parliamentary opposition, the checks and balances needed for democracy were missing. Fitzgerald also blamed News Corp publications such as the Courier-Mail for helping the LNP outside parliament. “News Corporation publications, which dominate the local print media, consistently publish biased reports which favour the government,” he said. A Muttaburra grazier has his homestead surrounded by a dozen police demanding his guns be handed over because he ‘forgot’ to renew his gun licence. The real story is the NAB an Grab bank is about to foreclose on the property and they wanted no resistance. Qld cops for hire! Makes their KPI’s look good! Welcome to the fascist state! Bill Bibbulmun activist from OzResistance.com in this weekly report exposes child agency fabrication to remove political activist exposing WA government – Wayne Glew CPO speaks on engineered government violation of our constitution – Bill plays video footage of a WA cop deceiving and fraudulent attempt to serve documents on prominent activist Robert Paul CPO …..
Clear and concise is this professional presentation with the use of “gumballs” explaining the bottom line of immigration failure so you may make informed decisions . You might care to forward this video to your federal and state MP so they can understand how immigration “does not work” when next called to vote in the party room on your behalf !!! Stop the unlawful VLAD Act! Freedom of association is a most basic, inherent human right! A government that passes so-called laws to ban freedom of association without evidence of a crime being committed is a totalitarian regime.